BEIRUT – Syrian and Russian authorities prevented independent investigators from going to the scene of a suspected chemical attack, the head of the chemical watchdog group said Monday, blocking international efforts to establish what happened and who was to blame. Syria and its ally Russia deny any chemical attack took place, and Russian officials went even further, accusing Britain of staging a “fake” chemical attack. British Prime Minister Theresa May accused the two countries – whose forces now control the town east of Damascus – of trying to cover up evidence. 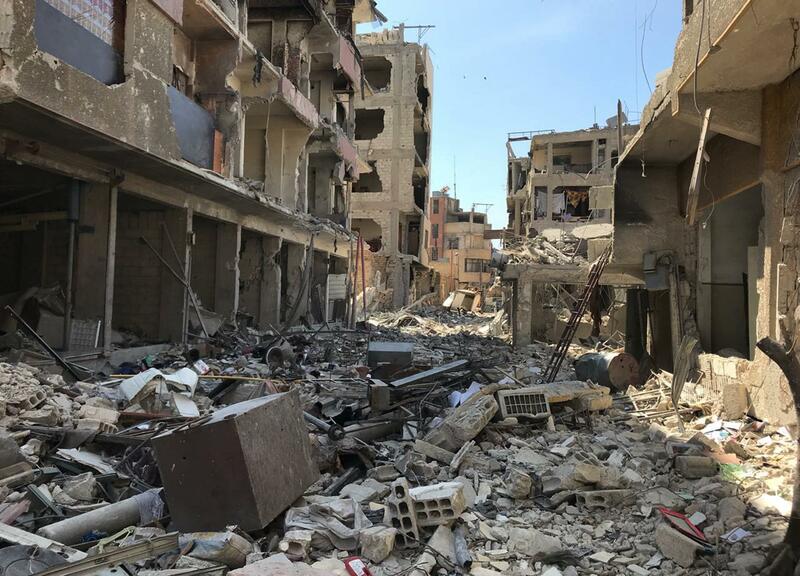 At least 40 people are believed to have died April 7 in Douma, which until Saturday was the last rebel-held town near the capital and the target of a government offensive in February and March that killed hundreds and displaced tens of thousands. Hours after the alleged chemical attack, the rebel faction that controlled the town, the Army of Islam, relented and was evacuated along with thousands of residents. Published: April 16, 2018, 6:32 a.m. Updated: April 16, 2018, 1:15 p.m.